There have been 7 efficiency units sold in this building in the last 12 months. The last unit in this building sold on 3/25/2019. Click here to get the details of all closings in the last 12 months. Very nice oceanfront efficiency in a resort with all the amenities. This condo has not been rented in 5 years and has only had occasional use from the owner. Excellent condition and ready to use as a vacation home and /or rental property. Comes fully furnished with full sized appliances. 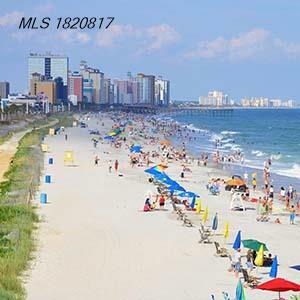 Prime location near Broadway at the Beach and all Myrtle Beach has to offer. Covered parking deck, indoor and outdoor pools, lazy rivers, hot tubs, on-site restaurant and high speed elevators. A coffee shop and exercise facility as well as a gift shop on-site round out all you or your guests need for a great stay in Myrtle Beach.